The Houston Pet Expo™ is a woofing, chirping, and meowing good time for the whole family! 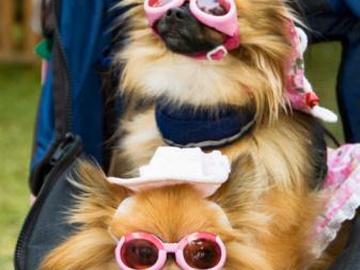 Four-legged friends can receive "spa treatments" from local groomers, sample delicious treats, and try on the latest in furry fashions; their humans will enjoy interacting with top trainers and learning pet-care tips from animal welfare organizations. A percentage of ticket proceeds will be distributed evenly between the rescue and shelter groups that participate in the event.